Literally built on the sea and in combination with its green environment, Andros Holiday Hotel in Andros offers a panoramic view to the deep blue waters of the Aegean, excellent hospitality and accommodation in Andros, impeccable dining and a relaxing and warm environment, all of which equal to a truly unforgettable Andros holidays. 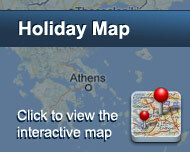 Andros Holiday Hotel also allocates two suites. The Andros Holiday Hotel is located in Andros island in Greece, one of the most beautiful of the Cyclades islands and only 2 hours away from the port of Rafina. Literally built over the sea, it offers a panoramic view of the Aegean. The spacious and comfortable lobbies, the swimming pool and the restaurant with magnificent sea views all contribute to an ideal setting for your vacation. For guests who wish to combine business and pleasure, the meeting room is fully equipped, air-conditioned and may accommodate up to 70 persons. All of the 78 rooms have terraces with view over the Aegean, providing all modern amenities you need. Traditional architectural style, functional space, friendly environment and personalized service will ensure a pleasant stay. All of the rooms have terraces with view of the Aegean and will spoil you with the best of contemporary amenities. The accommodations have an en suite bathroom with shower and hairdryer, air-conditioning, colour TV, mini fridge, music and direct dial telephone. 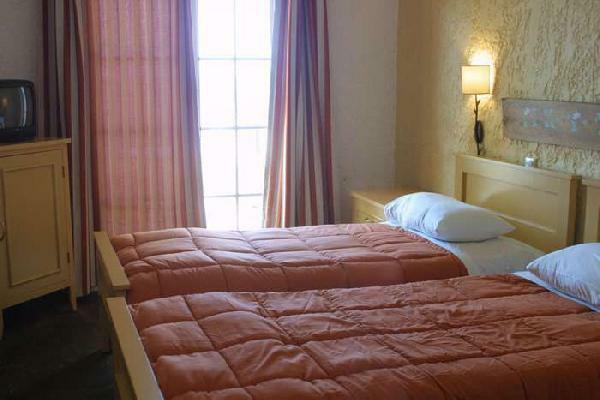 Baby cots, additional beds as well as non-smoking rooms are available on request. Είστε ιδιοκτήτης ή διευθυντής στο ANDROS HOLIDAY; Εγγραφείτε τώρα για δωρεάν εργαλεία, που μπορείτε να χρησιμοποιήσετε για να βελτιώσετε την καταχώρησή σας και να συνδέσετε την ιστοσελίδα σας και το σύστημα κρατήσεών σας.